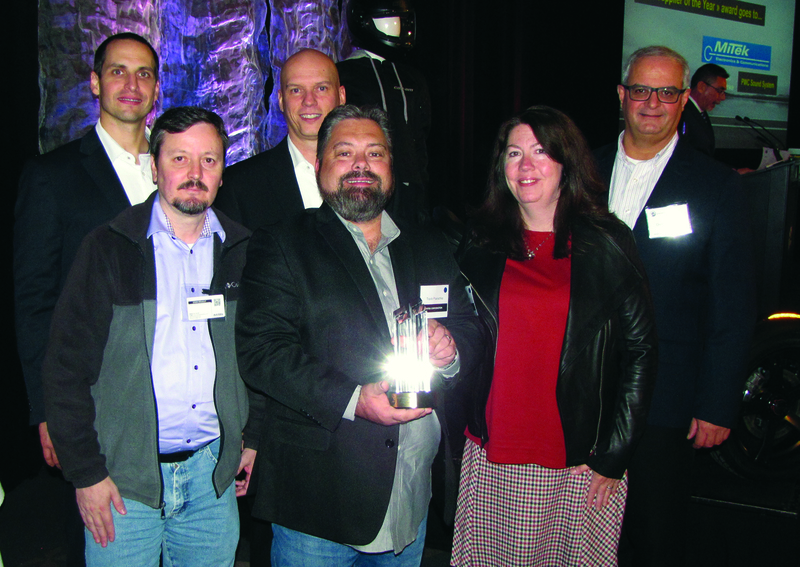 Mitek Electronics and Communications, a global leader in innovative OEM audio and infotainment solutions, was recently honored with BRP’s 2017-2018 Supplier of the Year Award. This prestigious award was presented at BRP’s bi-annual supplier dinner on October 17th in Quebec, Canada and recognizes Mitek’s dedication to improving BRP’s competitiveness with two groundbreaking new audio systems for Sea-Doo. Mitek and BRP have launched several successful projects together, including audio systems for Can-Am Maverick X3 and Spyder. The 2017 Sea-Doo GTX Premium Audio system was launched as the world’s first factory installed audio system on a personal watercraft, changing the way riders enjoy the sport. And in 2018, the Spark Portable Spark Audio System brings music to BRP’s incredibly successful Spark platform, with the ability to remove the Bluetooth Audio unit and carry it to the beach, the dock, or wherever the rider’s adventure takes them. Visit Mitek’s OEM Innovations Group at the 2019 CES Show in Las Vegas January 8-11. Central Hall, booth #14436. MiTek Electronics and Communications copyright © 2018. All Rights Reserved.